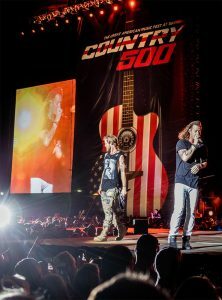 Already a Memorial Day tradition, Country 500 draws 75,000 country-music loving fans to Daytona Beach for an unforgettable weekend of music, camping and summertime fun at one of America’s most iconic sports destinations. 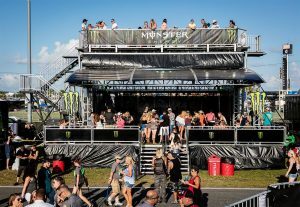 Also called “The Great American Music Fest at Daytona,” the Country 500 festival features the biggest stars in country music spread over three days and nights, programmed on multiple performance stages—specially designed and built for the festival. Country 500 takes place on the infield of the world-famous Daytona International Speedway. Fans at the festival also have the opportunity to get up close and personal with some of their favorite country stars at artist meet-and-greets located in the garages. Numerous other features—a select festival menu sold from food booths and food trucks; carnival rides; arcade games; cooling water elements; country-and-western merchandise; and more—will all be a part of the festival, as Country 500 transforms racing’s greatest venue into a festival-goer’s dream.